By now you have probably heard of the apocalyptic snow that has obliterated parts of the Buffalo area. Areas south of city took the major body blow with between 7 and 10 feet of snow being reported while sections north of the city saw no more than a few inches. While the snow has stopped the clean up is just beginning and with a major increase in temperature foretasted for the weekend time is of the essence. 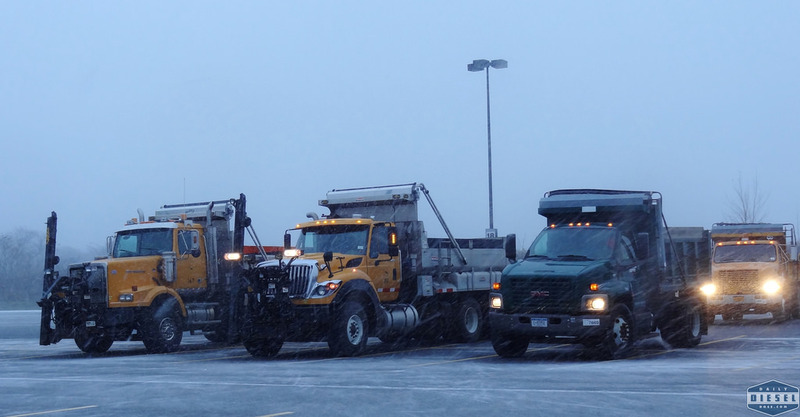 Crews from neighboring counties, towns, and states have been mobilized to help dig out the region. Yesterday I learned that the County of Onondaga and the City of Syracuse were sending men and machines to help provide relief. They were set to assemble in a mall parking lot and convoy out together. I was able to swing by and grab a few shots before they rolled out. 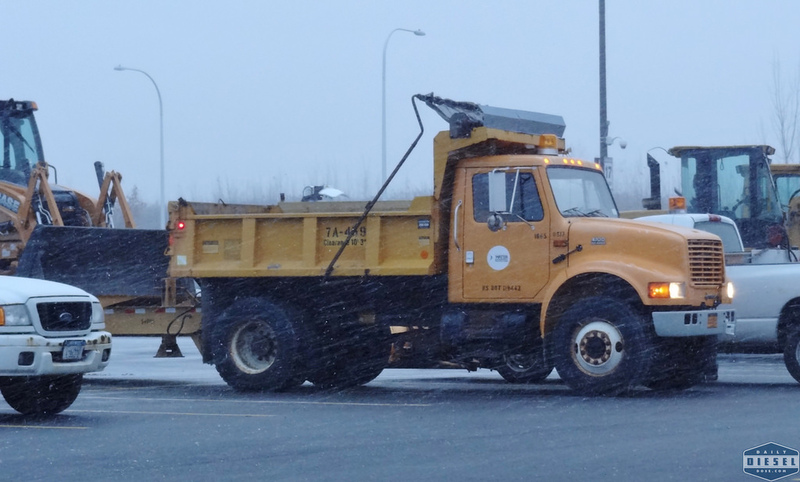 As you can see none of the trucks are sporting plows. At this point the snow needs to be trucked off streets and sidewalks were in resides in massive piles. You can only push so much before you just have to get rid of it all together. All told the County of Onondaga set 28 workers from a variety of county agencies along with seven dump trucks, three loaders and one backhoe. 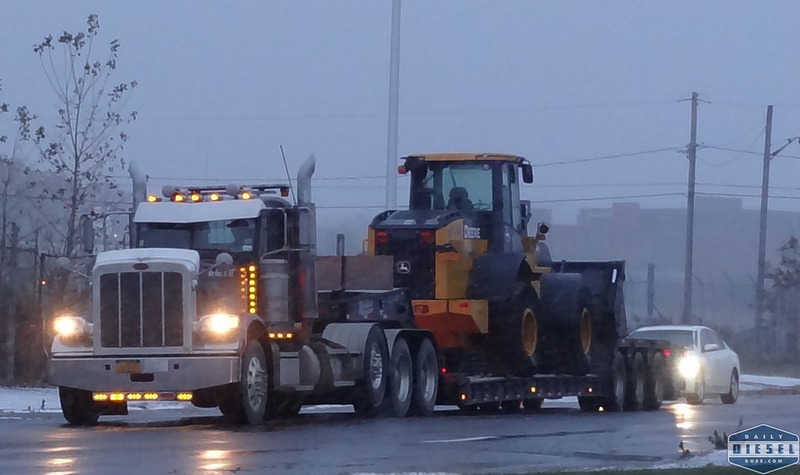 The City of Syracuse also provided three dump trucks and three loaders and twelve employees. Those crews were arriving as I was leaving so I don’t have any photos other than two shots of loaders being pulled by Moulton’s Towing. Thankfully a photographer for the city was on hand to grab some wonderful shots of the convoy rolling out under the cover of darkness. Click here to view. Below is a short video that is self explanatory. The support crews are expected to work 12 hour days with the City and County being reimbursed for their time and expense from New York State. 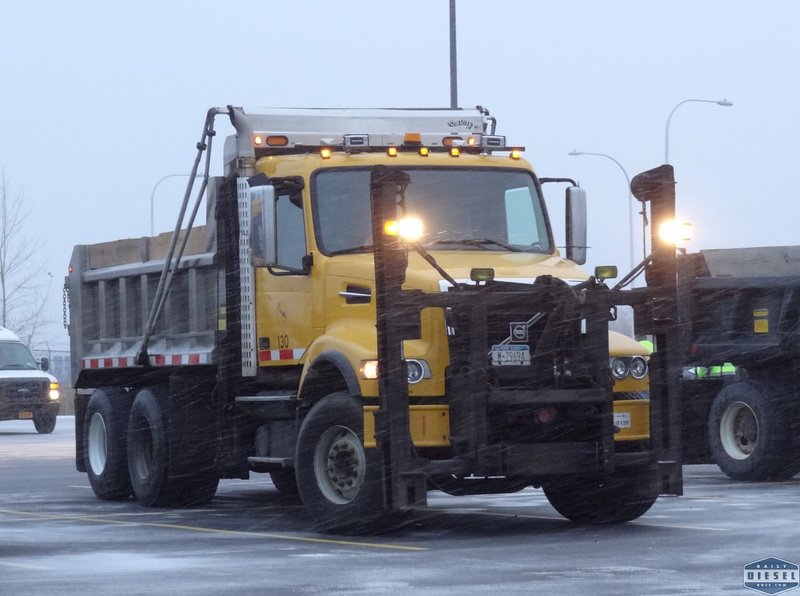 For more Buffalo blizzard coverage check out the Facebook group DOT Plow Trucks. You will find more shots of the storm and the men and machines at work. There is also a lively discussion about NYS turning away help from neighboring states. This entry was posted in Snow Plows and tagged buffalo blizzard, city of syracuse dpw, onondaga county dot. Bookmark the permalink. 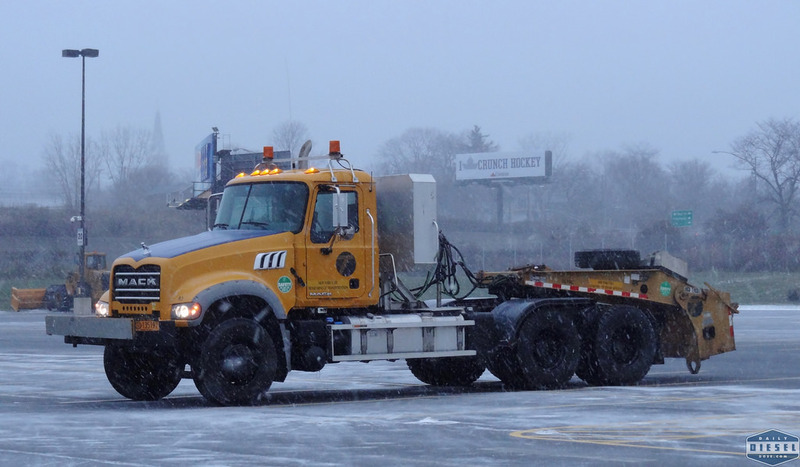 I heard that the CT DOT was also sending some trucks and crews as well.